Losing a loved one is always a difficult experience. But, when a preventable, wrongful act takes the life of a family member, the senselessness of the tragedy adds immeasurably to your pain. No amount of money can compensate for a lost loved one. However, Georgia wrongful death law allows family members to hold wrongdoers accountable. McGarity & Efstration, LLC, Attorneys at Law can help you get closure and obtain compensation to alleviate financial hardships. Negligent — Accidents that could have been avoided if someone had taken reasonable care. Failures to act with care include reckless driving, failing to maintain property in a manner that is safe for visitors, failing to provide acceptable medical care, or manufacturing faulty products. Intentional — Criminal activities, including violent crimes, such as murder. A person suspected of a deliberate act that caused death may face two independent court cases — criminal charges and a civil lawsuit for wrongful death. The statute of limitations is two years from the date of death. If you do not file a lawsuit by then, you lose your right to sue forever. However, the statutory period does not run during a criminal prosecution for the death. So, if there are criminal charges, the period to file suit is extended, regardless of how the case ends. Surviving spouse — A living spouse has the sole right to sue. But if there are children, the spouse must share the award with them, though in no event is the spouse to receive less than one-third. Children of the deceased — If there is no living spouse, the children share equally in the award. Parents — If there is no living spouse or children. Married parents hold the award jointly, but if they are divorced, proof that one of the parents was alienated from the deceased could disqualify that parent from sharing in the award. Estate — When there is no surviving spouse or surviving children, a representative can bring suit on behalf of the deceased’s estate for the benefit of the next-of-kin. Our attorneys represent individual plaintiffs and estate representatives in wrongful death cases in Buford and throughout Gwinnett County. “Full value of the life of the deceased” — Unlike states that compensate family members for their losses, Georgia considers the loss of life from the perspective of the deceased. Plaintiffs may recover sums reflecting the economic value of the deceased’s life, based on estimated earnings over a natural lifespan. In addition, they can receive compensation for the intangible value of deceased’s life in relationships, activities and impact on others. Losses to the estate — These damages include medical expenses due to the injury prior to death, conscious pain and suffering prior to death, and funeral expenses. These damages are paid to the estate and eventually distributed along with other assets to the deceased’s heirs. The first claim is subject to the two-year statute of limitations, but the estate claim has a five-year tolling provision if the estate is not probated. A representative may be able to bring the estate’s claim up to seven years after death in some cases. 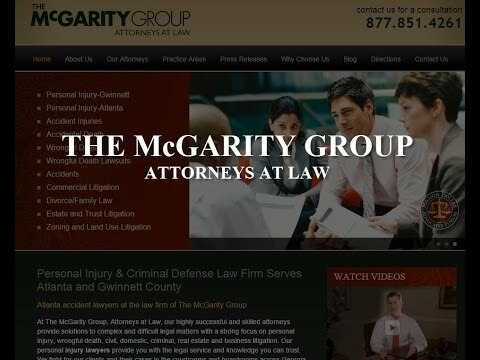 If you’re wondering whether to bring a wrongful death lawsuit, talk to a caring and committed attorney at McGarity & Efstration, LLC. We can evaluate your case and advise you about how to proceed. To schedule a free consultation, call our Buford or Braselton office today at 877.851.4261 or contact us online.